Free Ryanair Cancelled Flight Claim Checker. Apply Online! Did Ryanair cancel your flight? Happened in the last 6 years? "For expert help, advice and support throughout your flight cancellation claim complete our form." Passengers sometimes need to cancel their flights because their travel plans have changed. Other times, they may be shocked to discover that the airline has cancelled a flight without warning, resulting in lengthy delays or even unexpected expenses. Ryanair flight cancellation compensation could be available for those who have experienced this. Apply online today to see if you can claim your compensation. Ryanair is an economy airline that operates primarily out of the London Stansted and Dublin airports. It was founded in 1984, and expanded rapidly during the latter part of the 20th Century. This airline is the largest European airline by passengers carried, operating more than 300 aircraft. Ryanair flies to more than 31 countries, most of them within the European Union. Currently, more than 8,500 people are employed by Ryanair, including 1,200 pilots. Ryanair’s goal is to operate as efficiently as possible. As such, the company may cancel flights whenever there are very few passengers scheduled, as operating with a large number of empty seats could actually cost the company money. They may also choose to cancel a flight if a plane develops mechanical problems and the only other alternative would be switching to a larger aircraft that would be more costly to operate. Ryanair allows passengers to reschedule or change flights, but does not permit cancellations. Changes may be made up to four hours before a flight’s scheduled departure time. While refunds are not available for cancelled flights, travellers may nonetheless apply for a refund of the government tax paid, minus any applicable administrative fees. This refund is different from Ryanair cancelled flight compensation in that it covers only the tax, and is only available for those who cancelled a flight for personal reasons. Why Should You Apply Online Today? Those who have experienced a cancelled flight due to no fault of their own may be entitled to Ryanair cancelled flight compensation. To qualify, the cancellation must have occurred at any time during the previous six years and resulted in a delay of three hours or more. Passengers who are quickly placed on a rescheduled flight would therefore not qualify. Flights must also have originated in the EU, or be headed into the EU on an EU carrier. Most (but not all) Ryanair flights will meet this qualification. You may be entitled to up to £500 for each qualifying cancelled flight. The amount of flight cancellation compensation from Ryanair will be based on the length of your trip. You may not be reimbursed for additional expenses such as meals, hotel rooms, taxis, etc. Many people become frustrated trying to obtain flight cancellation refunds from Ryanair due to the lack of available personnel. The airline officially closed all check-in desks in 2009, which means that counters in most airports are unmanned. 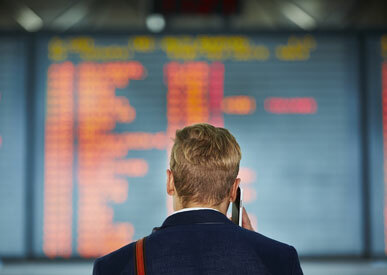 Passengers must typically contact the airline via phone or email, and may experience long wait times for a response. A good number of them will give up on obtaining a refund because they would rather avoid the hassle. Ryanair Website - Contact information and further advice can be found on the official page. Ryanair Help Centre - If your flight is cancelled you can find some additional information here. Ryanair Wikipedia Page - The Ryanair Wikipedia page compiled from a variety of sources. Ryanair Facebook Page - If you're a Facebook member you can join the Ryanair Facebook page. Ryanair Twitter Feed - Catch up with the official Ryanair Twitter feed. Not the best way to get in touch however. If you'd like to contact an expert regarding compensation for your cancelled Ryanair flight then contact us today. 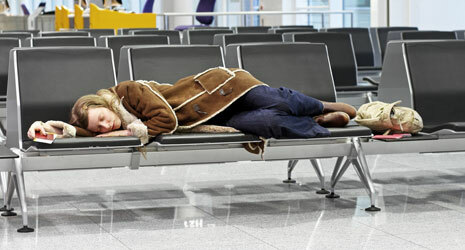 We arrange compensation for people throughout the UK every day that were inconvenienced by a cancelled flight.